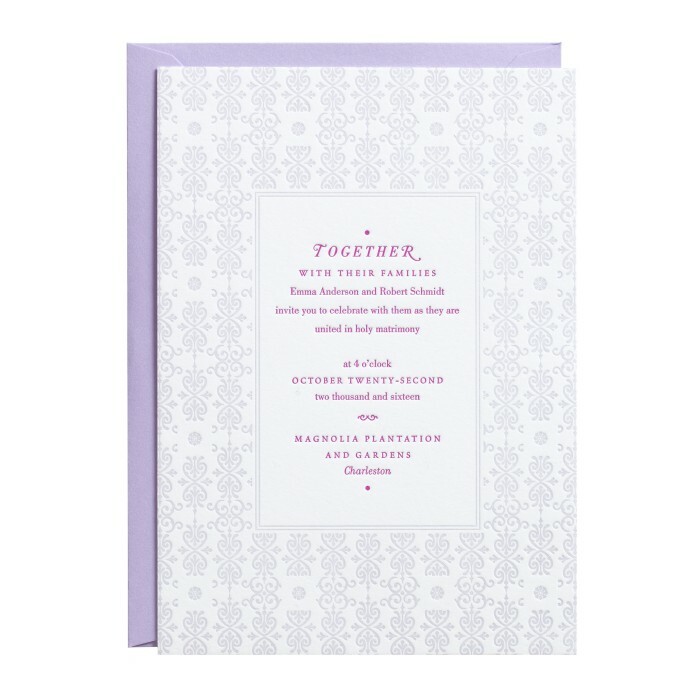 Rich in ornamentation, the design of the Emma Invitation harks back to decorative vintage book title pages. This statement piece showcases Yuling's love of elegantly weaving different typography together with finesse. 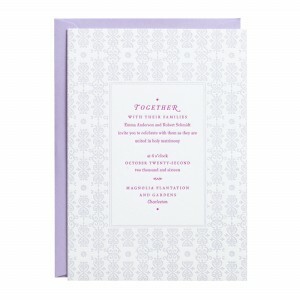 The piece is two-color letterpress printed single-sided on luxuriously thick cotton cover stock with a textured tactility.